I think the best thing about Adam's TBR Pile Challenge is that it inspires me to read those books that have been hanging around the bookshelves for far too long -- it's just wonderful to find treasures that I've been ignoring for far too long. The Spirit Catches You and You Fall Down is exactly that -- one of those books that I really regret putting off for so long. This award winning book is the story of the clash of cultures between the immigrant Hmong refugee community in Merced, California, and the doctors treating a young Hmong girl, Lia Lee, who showed symptoms of severe epilepsy starting at three months of age. She was first diagnosed in 1981. Her parents were refugees from Laos who resettled in California after the Vietnam war. The Hmong people are an ethnic minority living who are originally from the mountainous region of Southeast Asia, including China, Vietnam, Cambodia, Laos, and Thailand, but they are fiercely independent and have never assimilated into any of those national cultures. Many Hmong people fought secretly for the CIA during the Vietnam War and for the Laotian Civil War in the 1970s. After fleeing to Thailand, the Lee family eventually settled in Merced, about two hours west of San Francisco, where there is a large population of Hmong refugees and their families. The book traces the cultural clash between Lia's family and their beliefs in traditional Hmong medicine and the American hospitals and staff, but it's also much more than that. There's a lot of background about the Hmong people and the wars in Southeast Asia, and most of the book is really about the cultural differences and how difficult it is for immigrants to adapt. It also makes a serious point about medical practitioners and cultural sensitivity. 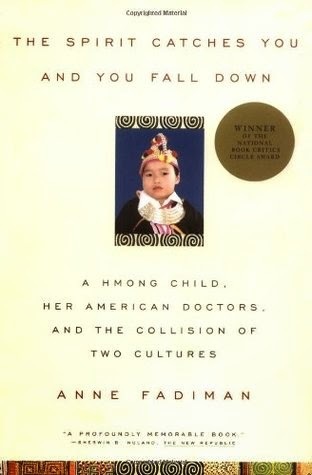 After I finished the novel, I went online to read more about Ms. Fadiman, and I found that this book is now required reading at Yale Medical school, and has had a strong influence in how medical professionals are now interacting with immigrant groups. I found this book to be absolutely fascinating, extremely well-written and organized -- it's definitely one of my top reads of the year. I could hardly put it down and read it in just a few days, and I've been recommending it over and over to co-workers and library patrons. It would be a great selection for my non-fiction book group at the library, but unfortunately our system doesn't have enough copies -- maybe I'll have to persuade them to order some more so that we can put it on our reading list for next year. Well, it had to happen sometime: Edith Wharton has finally disappointed me. 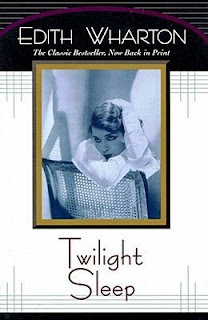 Twilight Sleep is the thirteenth book by Wharton that I have read, and it is officially my least favorite. Hardly anyone has reviewed this book on Goodreads, and my library doesn't even own it. The set up is a little complicated. 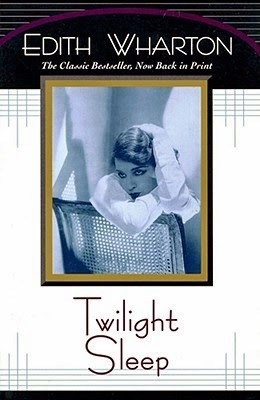 Published in 1927, this is the story of the Manford family, rich socialites living in New York in the 20s. Pauline Manford is the busiest rich woman in the world, with a schedule so jam-packed with committees, speeches, beauty treatments, appointments with new-age gurus, and social engagements, she has to schedule time in 15-minute increments, including a conversation with her own daughter Nona, who is 19. Nona is Pauline's daughter by her second marriage, to the successful lawyer, Dexter Manford, who represented Pauline in her divorce from her first marriage to Arthur Wyant, after Arthur had an affair with his cousin. Pauline also has a son, Jim Wyant, from her first marriage, and his own marriage is on the rocks. Jim's wife Lita is a Jazz Age party girl with a hankering for the stage, to the dismay of her husband's family. Following all this? The story takes place over a fairly short period of time, in which Pauline is determined to devote her do-gooder energies to saving Jim's marriage to Lita, not realizing that her own marriage is crumbling and that her daughter Nona is in love with Arthur Wyant's cousin, who is trapped in a loveless marriage to a pious woman who won't divorce him. Lita is determined to leave Jim and go out to Hollywood. Dexter claims he merely wants to prevent a family scandal, but he's clearly falling for Lita himself, and all the characters are thrown together at the end in a climactic scene in Pauline's country estate. (I'm actually trying to mentally recast with all the characters from Downton Abbey, except Michelle Dockery would have to be the daughter-in-law and we wouldn't have the wonderful Maggie Smith as the Dowager Countess). I rather liked this novel but I was sort of puzzled by it. It starts out describing Pauline's busy life and packs in all the other characters in such a rapid succession I could hardly follow them. I suppose Wharton is trying to show the fast pace of life in the twenties and the whirlwind schedules of these wealthy characters, but I just found them shallow. I hadn't ready any Wharton books in a while but I do remember that typically the character development was better and the pace was slower. Wharton is known for her novels about rich society people who are unhappy. Pauline seems shallow but has so much energy, it made me wonder what this character could have done if she had lived in the 21st century -- she could have been a CEO of some Fortune 500 company instead of filling her time with making inspirational speeches, visiting charlatans trying to do emotional healing, and doing eurythmic exercises.
. . . the room contained only a few relentless-looking oak chairs, a long table bearing an hourglass (for clocks would have been an anachronism), and a scrap of dusty velvet nailed on the cement wall, as to which Mrs. Landish explained that it was a bit of a sixth-century coptic vestment, and that the nuns of a Basilian convent in Thessaly were reproducing for eventual curtains and chair-cushions. "It may take fifty years," Mrs. Landish always added, "but I would rather go without it than live with anything less perfect." So. Overall, not a terrible read, but not up to what I normally expect from Edith Wharton. 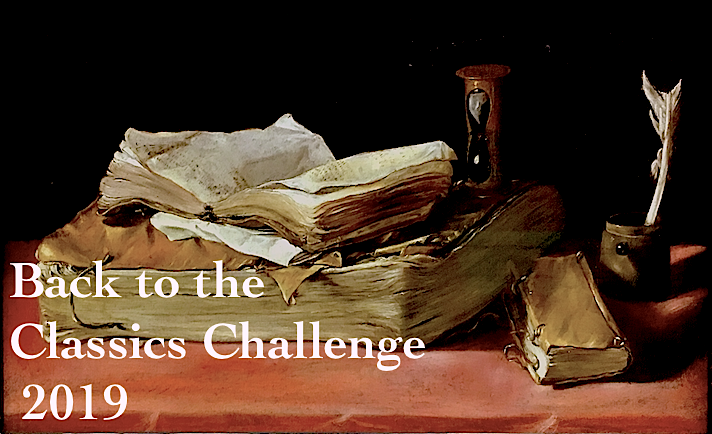 I was originally going to count this as my 20th Century Classic for the Back to the Classics Challenge, but since nobody reads it, I don't really think it applies. I still have some novellas and a couple of her earlier works on the TBR shelves. Hopefully they will not disappoint. The Woman Warrior is the seventh book I read from my 2015 TBR Pile Challenge. I chose it in honor of Asian-Pacific American Heritage month, and though I finished this book almost two weeks ago, I'm having a really hard time writing about it. 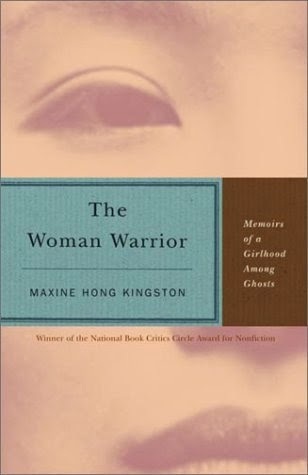 Published in 1975, The Woman Warrior is Maxine Hong Kingston's memoir is the story of growing up as a child of Chinese immigrants, but it's not just about her -- it's really about the experiences of the women in her family, both in China and after arriving in the United States. It's a fairly short book, just over 200 pages, and is divided into five sections. Each of the sections is centered around a different woman in her family -- herself, her mother, and her aunts. The book is beautifully written, but mostly heartbreaking. The parts that really got to me were how badly women and girls were treated. The first chapter starts with story of an aunt, her father's sister, who got pregnant after her husband had left for America to make his fortune, and her shame was so terrible she threw herself and her newborn child into a well. Kingston doesn't even know her aunt's name -- the shame is so terrible that her name is never mentioned, and she is instructed never to speak of it to her father. There's also a chapter about her mother's sister, who came to the United States to confront the husband that had left her and a daughter behind in China years before; a chapter about her mother studying to be a doctor in China after her husband had gone to America; and a retelling of the Fa-Mulan woman warrior myth. Although it's considered a nonfiction memoir, there are definitely elements of fiction woven throughout. Like some of the earlier memoirs I posted about this year, I did wonder a bit how much was fact and how much was fiction. 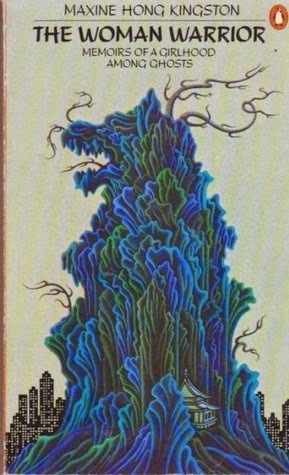 Not the edition I read, but I really like this cover from 1977. Overall, I liked it, but it was a difficult read at times -- it becomes really painful sometimes to read how badly women are treated in many cultures. It's also tough to read about how difficult it is for the children of immigrants who are caught between two different cultures. Classics Spin #9! 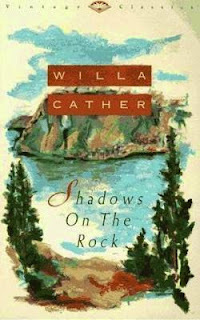 My selection was Shadow on the Rock by Willa Cather, a book I've had on my shelves for several years. I hadn't read anything by Willa Cather for a while so I was looking forward to this one. Published in 1931, this is a work of historical fiction starting in 1697. Euclide Auclair, the apothecary of Quebec, lives with his twelve-year-old daughter in the remote settlement of French Canadians. As the story begins, Auclair watches as the final ships sail up the river, leaving the settlement isolated for a the long winter. The story unfolds in slightly more than a year, until after the last ships leave again the final year (plus a short epilogue). Euclide came to Quebec from France years before, when Cecile was a baby, following his patron, the wealthy Count de Frontenac. The story is divided into six books, each focusing on a different character. It's really a series of vignettes about life in Quebec, more than an over-arching narrative. There's really not much plot to speak of. The "Rock" in the title refers to the mountains surrounding Quebec, so I suppose the shadows are the stories in the book. However, Cather is masterful at creating a sense of place. I remember that was the thing I've liked best about all her books so far: the Midwest in My Antonia and Song of the Lark; the Southwest in The Professor's House; and antebellum Virginia in Sapphira and the Slave Girl.
. . . Cecile got away unobserved into the nearest wood. She went through it, and climbed toward the ridge in the middle of the island. At last she came out on a waving green hayfield with a beautiful harp-shaped elm growing in the middle of it. The grass there was much taller than the daisies, so they looked like white flowers seen through a driving grey-green rain. Cecile ran across the field to that symmetrical tree and lay down in the dark, cloud-shaped shadow it threw on the waving grass. The tight feeling in her chest relaxed. She felt she had escaped for ever from the Harnois and their way of living. She went to sleep and slept a long while. When she wakened up in the sweet-smelling grass, with the grasshoppers jumping over her white blouse, she felt rested and happy, -- though unreal, indeed, as if she were someone else. I liked this book but I found it a somewhat slow read. Though the prose is beautiful, the lack of plot didn't really compel me to pick it up again. Also, I felt like the story didn't have much focus. I really enjoyed the parts about Cecile and her father and the day-to-day life of the Quebec residents and the hardships they faced, but I felt it got bogged down with some of the politics which kept the Count in Quebec, plus the competition between two rival bishops got a little boring. Not one of my favorites by Cather, but worth reading overall. And now I only have three more books by Cather to finish -- and only 18 left on my Classics Club list! The Eustace Diamonds is the third novel in Anthony Trollope's Pallisers series. This is the 19th novel by Trollope that I've read so far, and it's one of my favorites. Basically, much of the plot revolves around Lady Elizabeth Eustace and her diamonds -- and whether they actually belong to her. Lady Elizabeth Eustace, nee Greystock, is a young, beautiful woman of good family, but not much fortune. She marries well, to Lord Florian Eustace, who has a fortune, a title, and good family, but unfortunately, poor health. Lizzie knows all this and uses it to her advantage; poor Florian doesn't realize he's married a sly mercenary until it's too late. He dies young with a pregnant widow, and relatives who are very unhappy with this interloper who is permanently attached to the family. The diamonds in question are a necklace worth about 10,000 pounds, about $750,000 in today's money. Lizzie claims that her husband gave them to her before he died, as a gift, but Eustace lawyers disagree, saying they're part of the estate, and must be passed down to his son and heir. (Lizzie has also received a life interest in an estate in Scotland and an annual income of 4000 pounds, so she's not hurting). She decides she needs a man to help her fight the nasty lawyers, and waffles between her cousin, Frank Greystock, a poor lawyer and MP; and Lord Fawn, a financially struggling aristocrat (and a former suitor of Violet Effingham from Phineas Finn, the previous Palliser novel). Lord Fawn pops the question first, but quickly tries to back out of the engagement when he hears about Lizzie's legal troubles. Lizzie then makes a play for Frank, but he's already engaged to Lizzie's childhood pal, Lucy Morris -- who also happens to live with Lord Fawn's mother, as governess to his youngest sisters. Following all this so far? Lizzie then tries to twist Frank around her little finger and get him to fight all her battles, both against the lawyers and Lord Fawn. She also wants to play the great lady and host guests at her Scottish castle and go fox hunting, so we have the requisite Trollope scenes where they're all riding to the hounds. 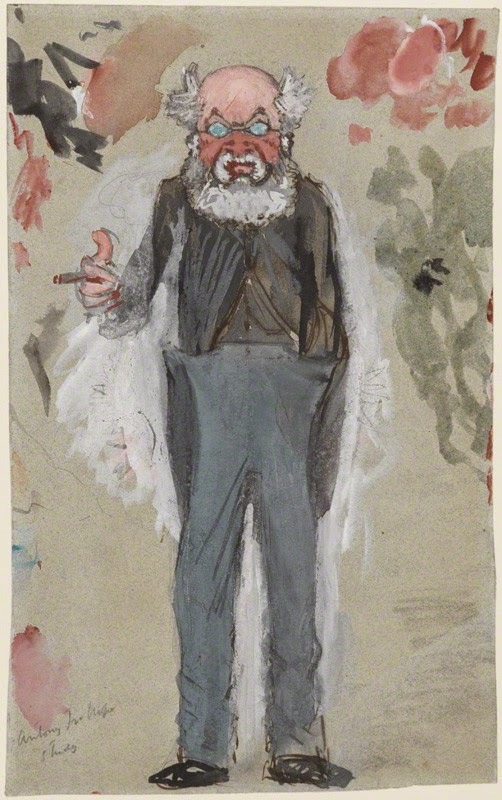 Trollope makes it all sound very exciting, except of course for the poor fox. There are also love triangles, some appearances by Palliser regulars Lady Glencora and the Duke of Omnium. Compared to Phineas Finn, there's much less politics and much more domestic intrigue. About halfway through this book I thought it was going to be standard Trollope, but then there was a major plot twist I wasn't expecting at all -- and then it twisted around again. And then again! This book really had me on my toes, and I finished the second half of the book in just a few days. 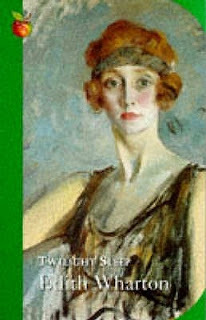 Lizzie Eustace is so sly and manipulative, I wanted to jump into the book and throttle her -- she definitely reminded me of Becky Sharp from Vanity Fair. The parts of this book with the legal wrangling over the ownership of the diamonds also reminded me a bit of Jarndyce v. Jarndyce from Charles Dickens' masterpiece, Bleak House. 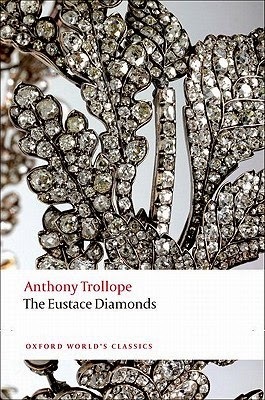 This is a fairly long Trollope, but I really think it's one of his best. It's the third book in the Pallisers series, but Lady Glencora and the other characters from the previous two books are really quite minor to the plot, so I think one could easily start reading the series with this book. I'm really glad I jumped right into this book after finishing the second book in the series, and I'd really love to finish the last three volumes of the series this year. Plus, this is one of the books from my Classics Club, so I'm happy to cross it off my list. Anthony Trollope Bicentennial Celebration: Second Giveaway Winner! 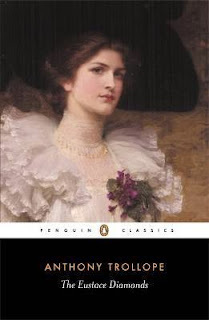 And the winner of the second Anthony Trollope giveaway is. . . .
Amy of Sadie Belle Reads! She's won her choice of Anthony Trollope paperbacks via The Book Depository. I'll be contacting her via email. Congratulations, Amy, and happy reading! !